Foundation Store News: Mantra Hat Back in Stock! Lama Zopa Rinpoche teaching during the Light of the Path Retreat 2017, North Carolina, USA, September 2017. Photo by Ven. Lobsang Sherab. The Light of the Path Retreat with Rinpoche ends on September 16—you can watch all the teachings recorded here. The next long retreat with Rinpoche will be the 100 Million Mani Retreat at Istituto Lama Tzong Khapa, Italy, in October 2017. Registration is now open for the Bodhicaryavatara and Rinjung Gyatsa retreat at the Great Stupa of Universal Compassion, Australia. Read why this retreat came about, and why it is special. Then in September 2018, Chokyi Gyaltsen Center, Malaysia, is hosting a Most Secret Hayagriva retreat. 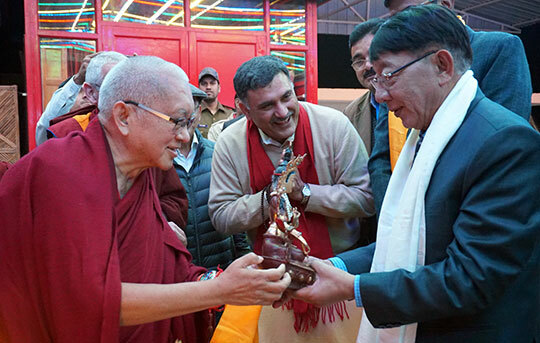 Lama Zopa Rinpoche meeting local dignitaries at Root Institute, Bodhgaya, India, January 2017. Photo by Ven. Lobsang Sherab. Lama Zopa Rinpoche and Ven. Sangpo Sherpa watch balloons with mantras written on them float up into the sky and spread blessings, Black Mountain, North Carolina, US, August 2017. Photo by Kalleen Mortensen. A new Living in the Path module, “Turning Kaka into Gold” is now available from the FPMT Online Learning Center. 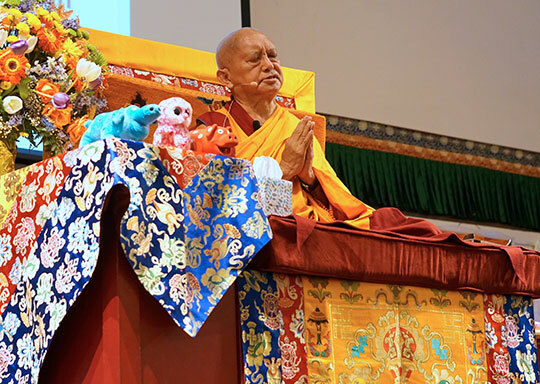 In this module, Lama Zopa Rinpoche explains the essence of lojong, a Tibetan term often translated as “thought transformation” or “mind training,” which refers to practices for training the mind to use suffering and problems in the path to enlightenment, whereby we become able to transform kaka (suffering and problems) into gold (a method for attaining the lasting happiness of full enlightenment). 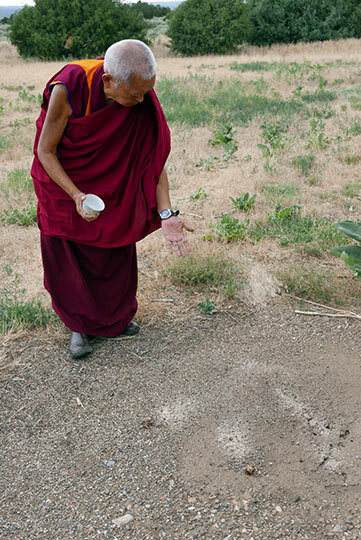 Lama Zopa Rinpoche making charity to ants, Taos, New Mexico, USA, July 2017. Photo by Ven. Roger Kunsang. If you would like to contribute to the building of holy objects around the world, you are welcome to offer any amount to the Holy Objects Fund. 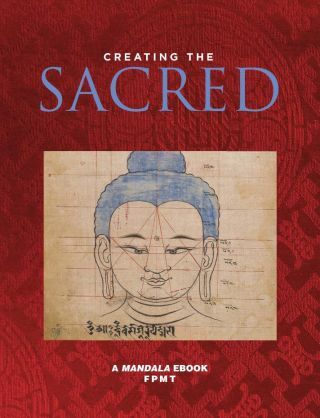 Mandala’s latest ebook, Creating the Sacred, dives into the world of the artists and organizers creating the beautiful and inspiring sacred art of FPMT. This soon-to-be-published collection of interviews and stories includes a history of Buddhist art, discussions of the benefits of holy objects, and an inside look at what goes into making Tibetan Buddhist thangkas, prayer wheels, and statues. Creating the Sacred will be available September 19! All five Mandala ebooks are offered to Friends of FPMT at the e-Friends level and higher and to Mandala magazine’s center packages subscribers. In addition, Mandala ebooks can now be purchased individually through the FPMT Foundation Store and are being made available through Amazon’s Kindle store, Apple’s iBooks, Barnes and Noble, Kobo, Aldiko, Overdrive, and other ebook outlets. Friends of FPMT are helping International Office share the Dharma through the FPMT Online Learning Center, which has thousands of students across the world. The Online Learning Center is especially vital for those who don’t live near a Dharma center and want an opportunity for genuine study and practice. Learn how to offer your support as a friend of the FPMT mission! 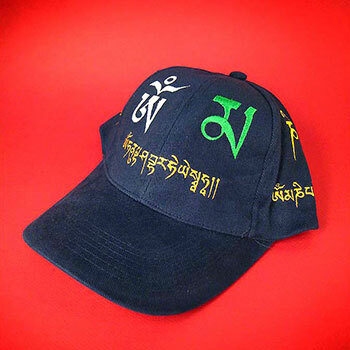 We’re excited to announce that the Precious Mantra Hat, designed by Lama Zopa Rinpoche, is available to order today! FPMT centers, projects, and services get a special discount! There are plenty of free Merit Boxes waiting to be placed on altars in homes around the world! 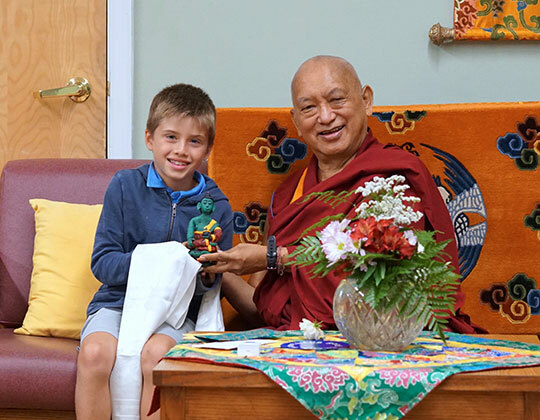 With a Merit Box, you can join in the International Merit Box Project, which over the past fifteen years has provided over US$1 million in grants for new holy objects, support for retreaters, Dharma libraries, repairs to FPMT center buildings, and much more. Order a Free Merit Box here. Find the schedule of upcoming Foundation Service Seminars (FSS) in the Affiliates Area (log in before you click on the link). 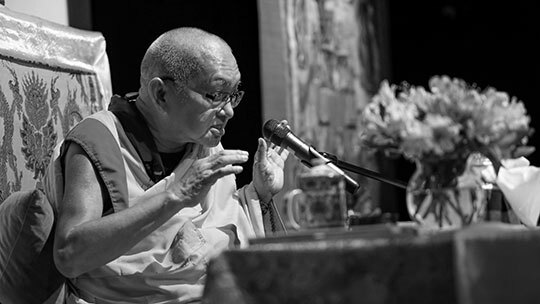 The Foundation Service Seminar is a five-day retreat that has been especially designed, following Lama Zopa Rinpoche’s advice, for students committed to offering service within the FPMT organization. The FSS is the entry point to other FPMT service seminars, including the Teacher Development Service Seminar and the Rituals Service Seminar. Read our blog about the deep benefit offered by Foundation Service Seminars! Lama Zopa Rinpoche teaching at Thubten Norbu Ling, Santa Fe, USA, August 2017. Photo by Ven. Lobsang Sherab. Would you like to spend your days in a very meaningful way? Have a look at the regularly updated meritorious opportunities to offer service as a volunteer or as paid staff in FPMT centers, projects, and services around the world. Newly added: Chenrezig Institute, Australia, is looking for an FPMT registered teacher to become their new resident teacher; Chenrezig Institute is also looking for a gompa manager and has other volunteer opportunities. In the USA, Land of Medicine Buddha needs a spiritual program coordinator and a kitchen manager. 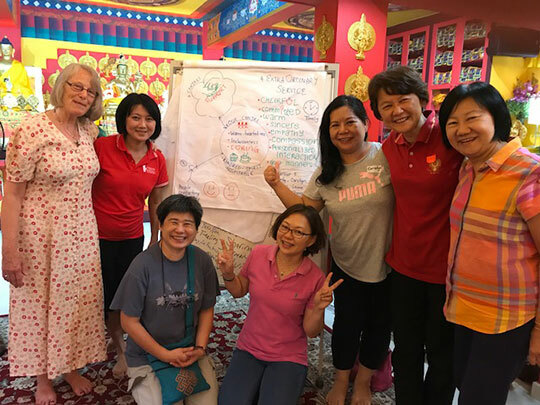 Closed Study Group: Jetsun Drolma, Indonesia – we rejoice in their efforts to serve sentient beings.